The "Book A Month" campaign went viral this year! If you didn't see this posted all over social media, essentially what it's all about is getting someone to sponsor a child in your class for $9. This ensures every child receives a book each month during the school year that they can keep at home. 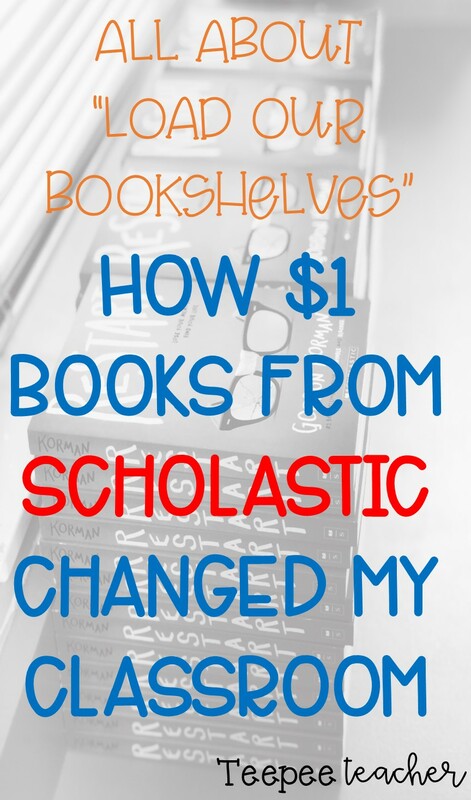 It's all made possible because Scholastic offer $1 books so each month the teacher is able to purchase a book for each child. How easy and cool is that?! Why is this such a big deal, though? It's pretty simple. Children's literacy researchers have always found the same thing: the more a child reads, the better they are in all areas in school. This directly correlates with reading done at home. "The more types of reading materials there are in the home, the higher students are in reading proficiency, according to the Educational Testing Service" (National Education Association). Therefore, as educators, we have to be creative with how we can expose children to more books outside of the classroom. This campaign is doing just that! As a fifth grade teacher, I found this campaign important because the motivation to read as children get older decreases quite a bit. There are a number of reasons for this, and if you ask your students the list will go on as to why this happens. However, I also believe that parents are sometimes at a loss of which books to buy their children that are age-appropriate or would be interesting for their child. The conversation of books between parent and child becomes less as children get older so there's a disconnect of reading at home. Of course, this is not true all the time but I think this a real analysis for many households with middle school-aged children. 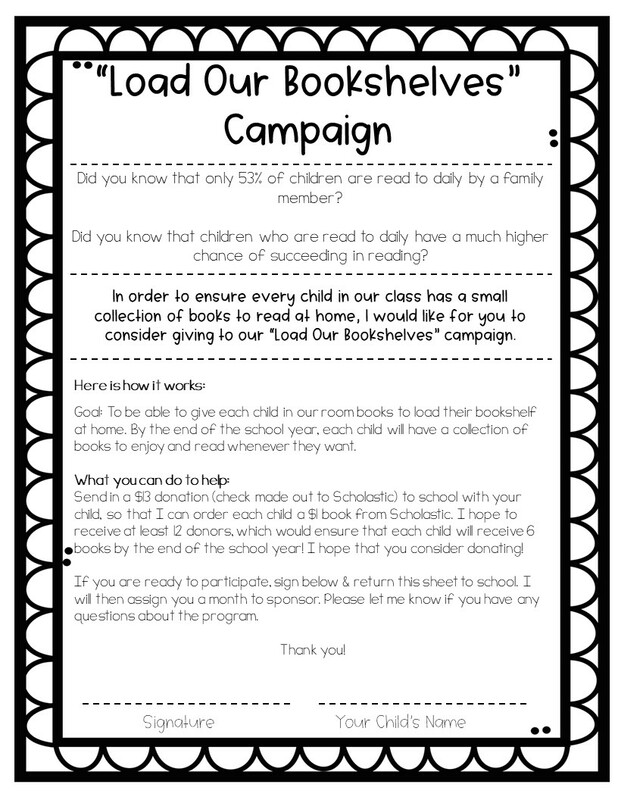 I decided to reach out for donations from parents in my classroom to make the "Book A Month" campaign happen very early in our school year. I didn't do the donations from my person friends, because I have 52 students and that's a lot to ask. Instead, I sent a letter home with my students asking for 12 parents in our classroom to donate $13 which would allow all 52 students to receive 6 books. The amount of chapter books that are on grade level that are $1 is more limited on Scholastic than younger children's book. That's why I stuck to 6 books instead of the 9 that others did. The response I got back from my parents was overwhelming!! Not only did they highly support it, my students were ecstatic to find out they would get 6 books to take home and KEEP! Our first order came in last week and they have not stopped reading the book. What makes it even better, they are discussing it with their friends and doing literature circles without me even being involved! The benefits of giving my students books is far beyond what I can teach them. 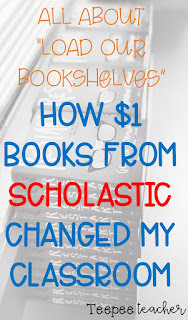 Because of this, I will continue to do purchase $1 from Scholastic for years to come! 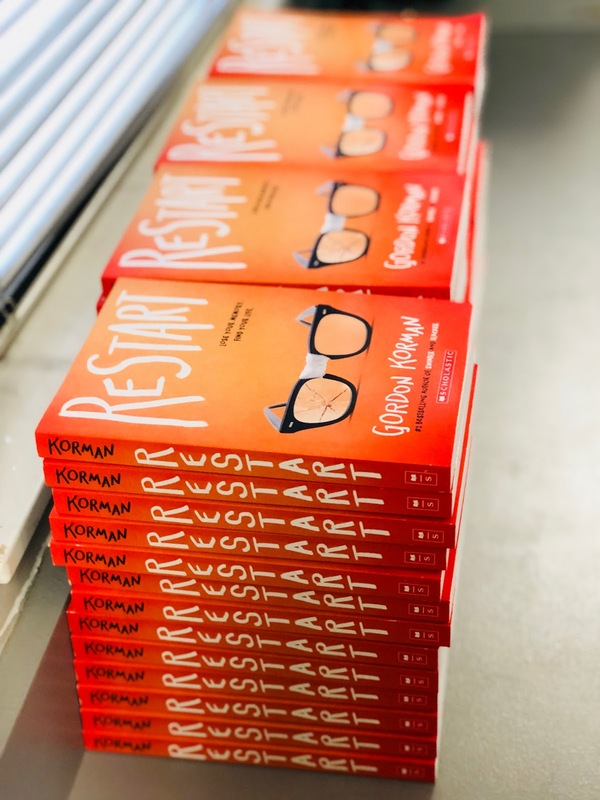 If you haven't looked into this yet, please consider doing so because it will change how students see books and build natural conversations between them.